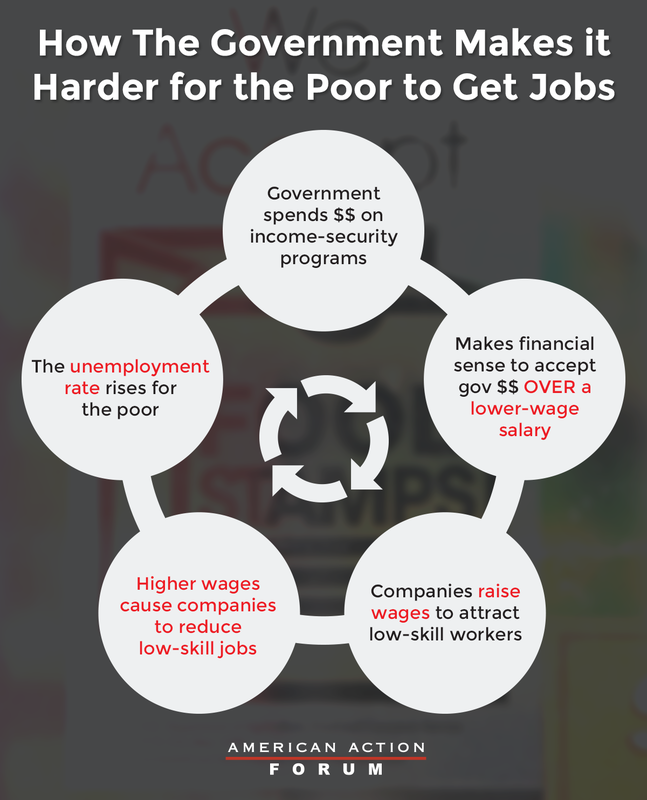 Government programs that provide income support compete with low wage employers for workers, a new report from the American Action Forum (@AAF) found. The direct competition ultimately increases the cost of hiring workers and reduces the amount of low-skill jobs available. Income support programs raise the value of not working, and as a result, force employers to raise wages in order to attract workers. The AAF research found that for every 10 percent expansion in income support programs, employers must raise wages by 2 percent. Since 2003 income support programs have expanded by 50 percent, resulting in low wage employers increasing wages by as much as 10 percent in order to attract workers. “In the United States, the key difference between being in poverty and escaping poverty is work. And there is no barrier to work more significant than an inflated wage that turns a prospective hire into economic red ink. While some research has suggested taxpayers subsidize low wage employers, the reality is that welfare and other income support makes it harder, and more expensive, for employers to hire workers,” said Douglas Holtz-Eakin, President of AAF.